Yacht Charter in Ireland. Sailing Ireland can provide and advise on bareboat and skippered charter in Ireland. Yacht Charter with Sailing Ireland. Sailing Ireland offer a range of sailing yachts for bareboat charter and skippered yacht charter in County Wexford, Ireland as is known as Irelands Sunny South East. Sail in Ireland which have some of the best sailing destinations and sailing coastlines in the world. Sailing Ireland has yachts in various sizes on offer for private bareboat charter, or skippered charter, on a day, weekend, or week-long basis. Why not take a group of family and friends to West Cork for a weekend or navigate up to Northern Ireland? Sailing Ireland can offer expertise in passage planning, tide tables and timings to ensure that you get the most out of your trip. 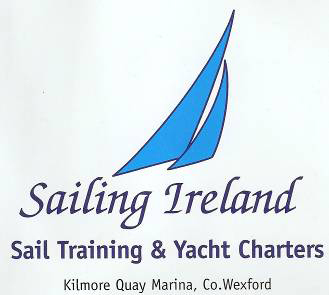 Sailors must demonstrate appropriate experience prior to chartering from Sailing Ireland. Or if you would prefer to have an extra pair of experienced hands why not bring a skipper along to show you and your family or friends the ropes? Imagine sailing along the south coast of Ireland in pleasant sunshine with dolphins swimming on the bow, a cup of coffee in hand and the southern coast on display in front of you. With a skipper on hand to monitor everything you can just kick back and do as much, or as little, as you like!